This range of products includes OEM as well as replacement parts for passenger and commercial vehicles. 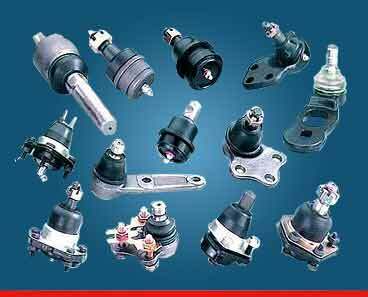 These OEM and replacement parts conform to the requisite quality requirements. 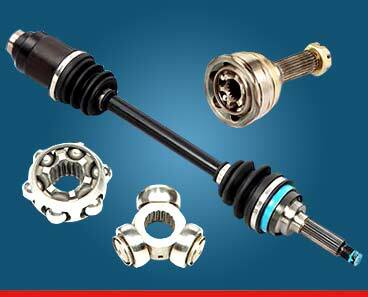 Automobile steering suspension parts are the paramount parts of an automobile. These Steering Suspension Parts and automobile steering parts support the body on its undercarriage, including dampers, springs and linkages. 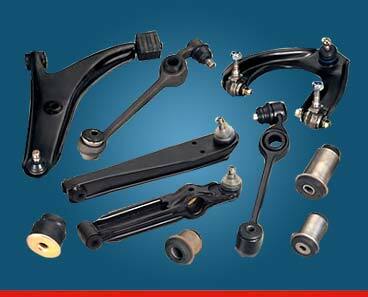 The basic properties of steering suspension parts include close tolerance, excellent finishing and exact dimension. Tie rod ends are designed with one-piece forged housing of high quality alloy steel. The whole lot of tie rod ends is produced using CNC turning machines, SPM thread rolling machines and microprocessor controlled grinders. The ball pins are cold forged, which are subjected to HF induction in order to ensure long life. These tie rod ends are designed to have maximum accuracy, which enables them to sustain extensive load. These ball joints are suitable for thrust load, radial load and impact heavy load. 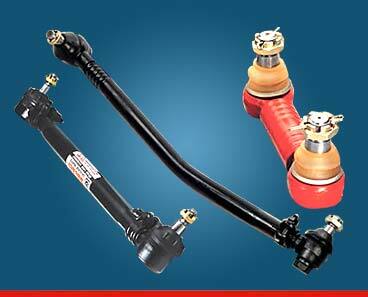 Idler arms & pitman arms are hot forged instead of casting that usually cause porosity in the end products. However, forgings imparts greater strength, better fatigue resistance and high service life to these idler arms & pitman arms. 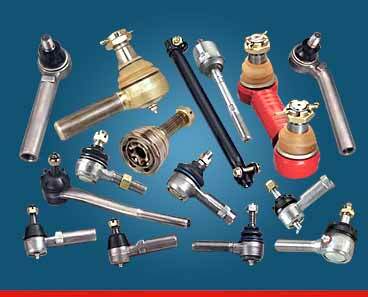 A wide range of idler & pitman arms is available in various specifications for various automobile models. 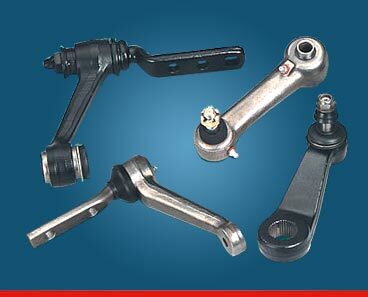 A wide range of forged track control arms is offered in conformation to OEM and after market specifications. It cater to all their requirements with an assurance of total satisfaction. Track-control arms are designed to add stability to steering through stabilizing the wheel. They also reduce vibration and uncontrolled movements. The primary materials for construction are pressed steel or aluminum. Center and drag links are made of hot forged alloy steel in order to impart excellent strength and optimum durability. These center and drag links assure accurate rotational movement without any side play. Designed to serve longer even in rough road conditions, center & drag links are provided with special coating to protect them against corrosion.